Dynamite released a press release for their upcoming flagship book of Project Super Powers. The book brings together some of the main properties of the Dynamite Universe in an Avengers/Justice League like format the characters includes ones like Masquerade, Black Terror and Scarab. In addition to the top tier characters Dynamite has pursued top talent to bring the series together. 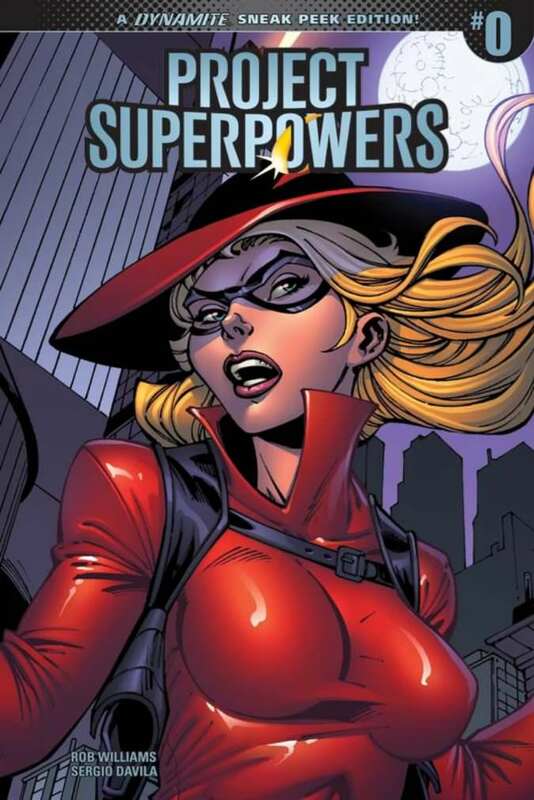 Writer Rob Williams is taking on Dynamites major project this year in Project Superpowers. Williams is well known for his run on Suicide Squad. 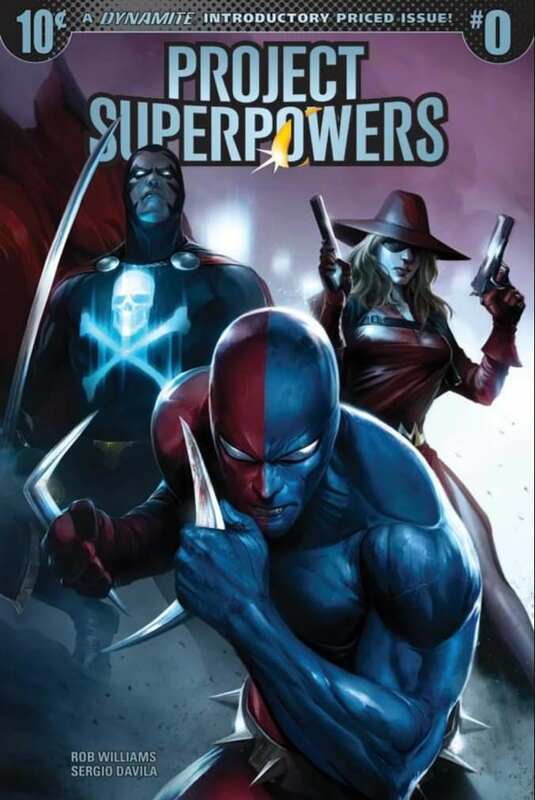 Project Superpowers #0 has a cover by superstar artist Francesco Mattina (Dark Nights: Metal) that will also be available as an ultra-limited-edition virgin cover. Plus, there are five sneak peek variant covers to choose from by John Royle, Philip Tan, Sergio Davila, Ed Benes and J.G. Jones. I really like Mattina, really like Philip Tan and adore the work of Ed Benes. Another great thing about this book is that is launching with the low price of 10 cents making it an easy gamble for all new readers. The book is scheduled to hit shelves in July, 2018. 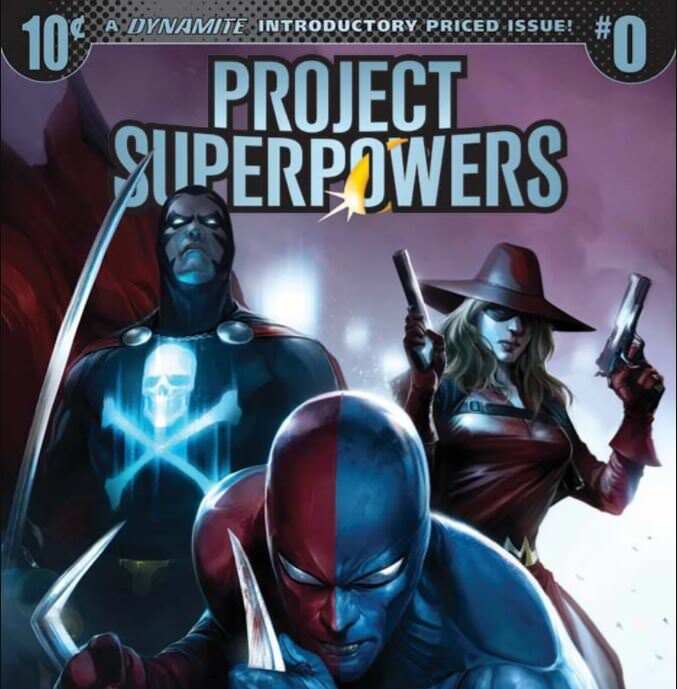 Dynamite Entertainment is proud to announce their biggest launch of the year, Project Superpowers #0 at the special introductory price of just $0.10 cents! That super low price is in celebration of the 10th anniversary of the titles original debut in 2008. Heading up the new series is the fan-favorite creative team of writer Rob Williams (Suicide Squad, Harley Quinn) and artist Sergio Davila (Injustice, Superman). This special #0 issue hits comic shops this July, is the perfect lead in for new readers and will feature an all-star line-up of cover artists. Davila began his professional career with Dynamite on the Lord of the Jungle series in 2012 and has provided work for Red Sonja, Vampirella and other of the publisher’s top series. He has recently started working with DC on Wonder Woman and Superman but jumped at the chance to draw Dynamite’s most powerful heroes. “I Am beyond thrilled to be working with Rob on this ambitious relaunch of our flagship superhero series. Rob’s become a friend and a force to be reckoned with in comics for sure, and applying his vision and skill to Project Superpowers is going to make it THE superhero event of 2018.” States Dynamite Executive Editor Joseph Rybandt. Project Superpowers #0 has a cover by superstar artist Francesco Mattina (Dark Nights: Metal) that will also be available as an ultra-limited-edition virgin cover. Plus, there are five sneak peek variant covers to choose from by John Royle, Philip Tan, Sergio Davila, Ed Benes and J.G. Jones. And don’t miss out on the Project Superpowers Omnibus Vol. 1: Dawn of Heroes collecting three full graphic novels and the never before collecting Project Superpowers #1/2 issue. This new collection coincides with the release of the new Project Superpowers #1 in August. 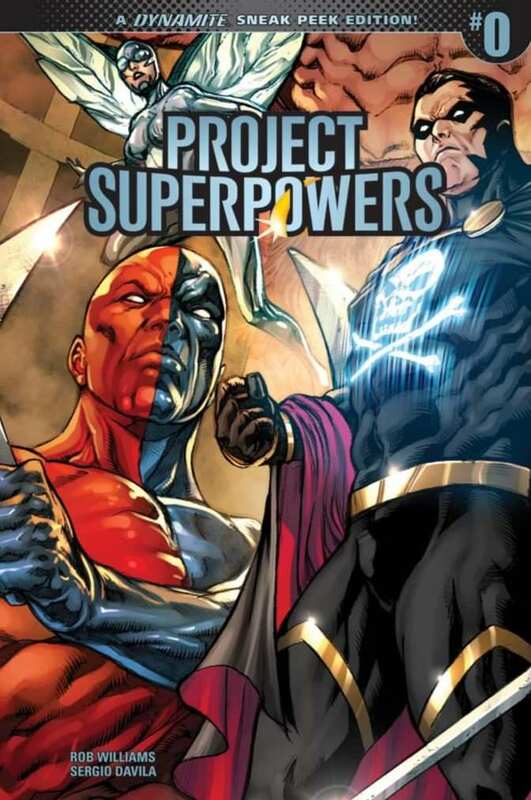 Project Superpowers #0 will be solicited in the May issue of Diamond Previews catalog, the comic industry's premier source of merchandise for the comic book specialty market, and scheduled to ship in July of 2018. Readers are encouraged to order through their local comic retailers or through digital platforms courtesy of Comixology, Kindle, iBooks, Google Play, Dynamite Digital, iVerse, Madefire, and Dark Horse Digital. Fans are encouraged to follow Dynamite Entertainment's social media channels for the latest updates on Project Superpowerscomic books and graphic novels.